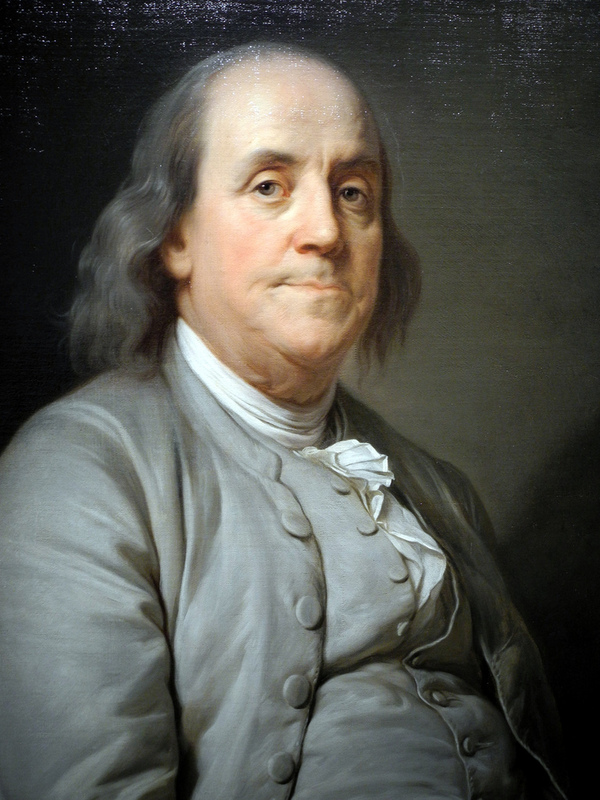 Ben Franklin, painted by Joseph S. Duplessis, 1778. “The third week of January has been designated as a time for considering the advantages of thrift, perhaps in part because it follows the birthday of Benjamin Franklin. “Thrift does not mean parsimony. It is not to be in any way identified with the miser. The thrifty person is one who does the best that is possible to provide for suitable discharge of the future duties of life. In its essence it is self-control. Industry and judgment are required to achieve it. Contentment and economic freedom are its fruits. “Most frequently we identify the thought of thrift with various institutions that have been provided to make it effective…But the main principle is saving today something that will be useful tomorrow. The whole theory of conservation is included. Money is only an incident. “Just at present we need to apply the principle to saving and increasing the strength of our governmental and social structure as well as our economic fabric. We must not squander these precious possessions. 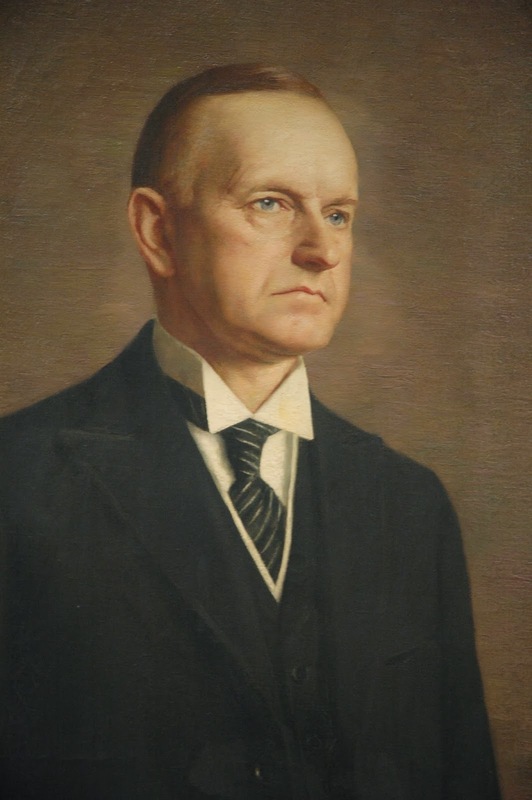 And, above all, a wise thrift now calls for the expenditure of money to save people” — Calvin Coolidge, January 17, 1931. The reader is generally right on board with Mr. Coolidge until that very last sentence. How can the economical “Silent Cal” be advocating “expenditures” to meet the worsening depression? Was he inconsistent? Was he succumbing to contradiction with his own record or what he would write throughout his daily columns about the need for a return to greater economy by government? 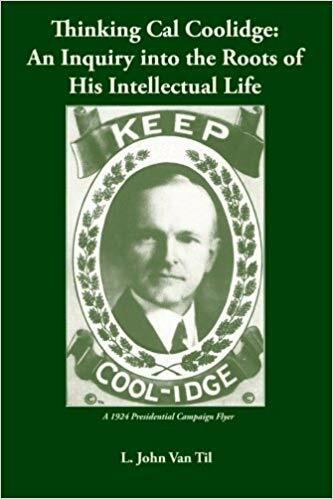 As Charles Willis Thompson observed in his book, Presidents I’ve Known and Two Near Presidents, Coolidge possessed an exceptional gift for style as one of very few Presidents who were true literary men (pp. 369, 370-1). Yet, there was something peculiar about the way he expressed his thoughts. While he packed more substance into fewer words than the vast majority of public officials have, there was something more than economy of expression. 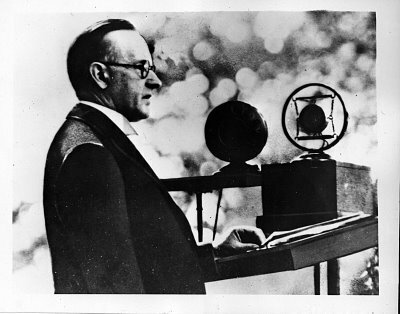 Thompson, in his quest to understand Coolidge, found that “he never said or wrote anything that did not have a certain peculiarity about it. That peculiarity was that there was always at least one sentence which made you say as you read idly through, ‘Hey, what’s that? Let me read that again.’ It hit you between the eyes. When you read it again you stopped for a while to think about it” (p. 361). The closing thought of his piece on thrift is that kind of sentence. It seems to go against everything he just said. That is what compels us to dig further, think deeper and reach beyond a surface appraisal of the man, his mind and what he is saying to us here. So, what did he mean? On the very next day, he employs our word “expenditure” yet again. His subject, though, is not government acting through the public Treasury but the American Red Cross. Coolidge had confronted in previous articles and would again nine days later the “delusion” that governments spending money to “revive business” never yields the prosperous results promised to everyone. It requires borrowing money we do not have and expecting “salvation” to come out of deeper debt and increasing waste. It only postpones the very prosperity governments claim will finally arrive if we simply spend more. Coolidge was not talking about public expenditures when he spoke of thrift on January 17. He was referring to the driving force of the marketplace, you and I, not the government. Recovery begins with us. Government needs to save money and strength at the same that “a comparatively small expenditure made now will avert a possible future calamity.” The notion that emergencies, real or contrived, demand expansive plans and exorbitant costs has failed throughout history, whether it is called the “Square Deal” (Teddy Roosevelt), the “New Deal” (Teddy’s cousin Franklin), the “Fair Deal” (Harry Truman) or the “Great Society” (Lyndon Johnson), the result is the same trail of avoidable destruction to real people’s lives. Coolidge meant private charity, local support by the individuals, civic organizations and institutions we sustain with time and monetary resources. These “expenditures” are what “save people,” not the latest extension of unemployment benefits, another stimulus package or postponing budgetary cuts that hurt dependence but need to be done for a sane, self-sustaining and solvent future. When Coolidge spoke of spending to save, he was not succumbing to a politician’s obfuscation of language, he was reminding us of what he had been saying from his earliest days in public service, “Government cannot relieve from toil…The normal must care for themselves. Self-government means self-support.” It is by spending ourselves and our resources in the service of others locally as free men and women that saves lives, not merely consenting to a government as it confiscates the means of “someone else less deserving” in order to redistribute to those it deems “more deserving.” If we are to remain free, we are called upon to exercise the obligations which accompany that freedom. It is in the practice of thrift, manifested by individuals in both saving and spending, that we and those who most need help receive it without recourse to government expenditures.